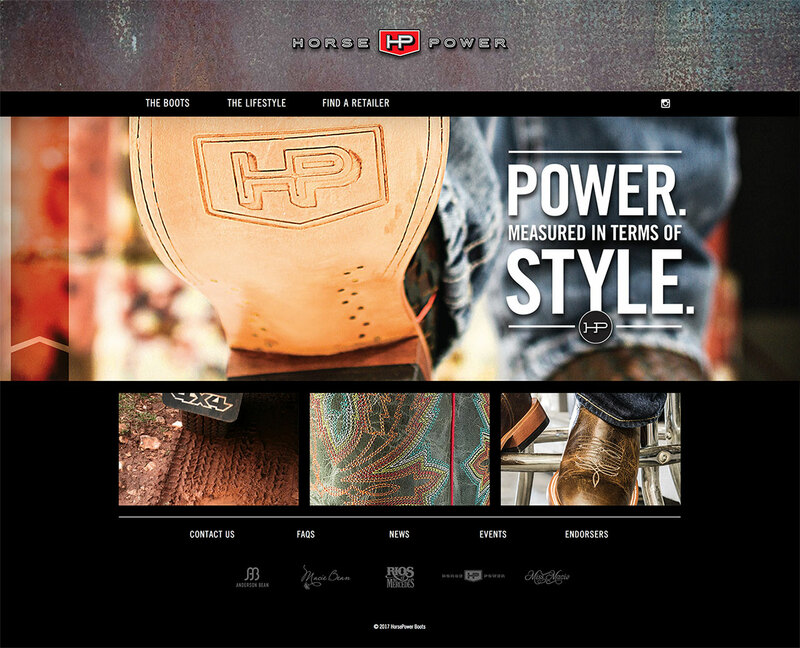 HorsePower Boots caters to a young, hip demographic. The boots are edgy, bold and have next-gen style. The website features a retailer locator, boot galleries and social media feeds. This website was built in conjunction with the other corporate brand sites (Olathe Boots, Anderson Bean and Rios of Mercedes) on a single content management system to streamline data management and administrative functions.